Set at the heart of Bangkok, the Grand Palace is one of Thailand’s greatest and one of the world’s most memorable examples of architecture. Every surface, every corner, of every building in the sprawling complex is richly and lavishly decorated in exquisite and minute detail. Nothing, it would seem, has been spared in the process. Construction of the Grand Palace began on May 6, 1782, when the then King, Rama I, moved Royal Court from Chonburi and established Bangkok as Thailand’s new capital city. Over the next two hundred years, successive Kings added new buildings, each shaped by the particular style of its time and each marked with the regent’s individual flourish. The organic development of the Grand Palace has resulted in a large, rambling rectangular complex with an eclectic mix of halls, pavilions, temples and palaces grouped around courtyards, lawns and gardens. It is divided into several quarters; the Inner Court and the Siwalai Gardens, the Middle Court, which is the central part of the Grand Palace, where the most important residential and state buildings are located, the Outer Court which houses the public buildings and lastly, the Temple of the Emerald Buddha, where the Emerald Buddha, one of Thailand’s most precious icons resides. By 1925, the Grand Palace was no longer the permanent residence of the Royal Court or the seat of the government. Then, when the Absolute Monarchy was abolished in 1932, all government agencies moved out of the palace. Although the current Monarch no longer lives at the Grand Palace, it remains a place of work and several Royal offices are still located there. It is still used for official events and both royal ceremonies and state functions are held there every year. 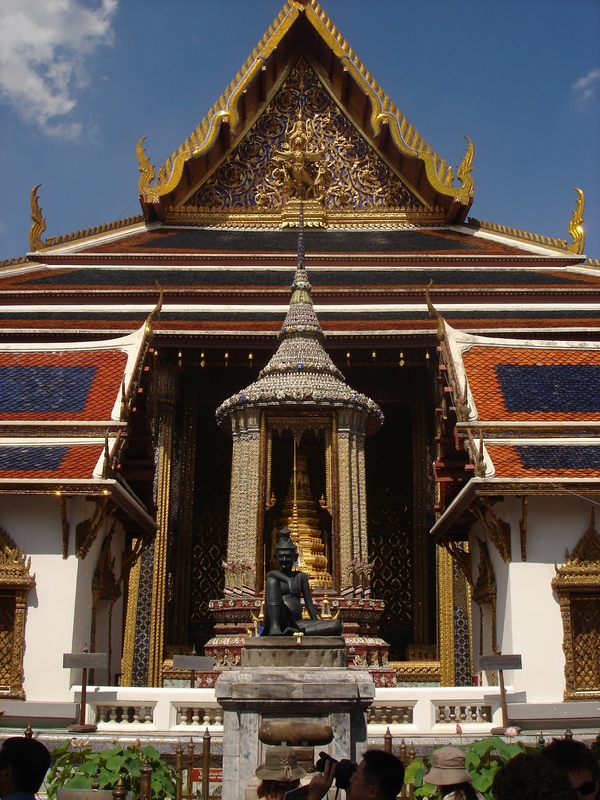 The Grand Palace is currently partially open to the public as a museum and it is one of Thailand’s premier attractions. As dress codes and protocols are strictly enforced at the Grand Palace, it is advisable to take a guided tour to avoid risking offence. Besides, as the buildings are so numerous, so steeped in history, so rich in symbolism and so lavished with intricate ornamentation, it is helpful to have someone to tell their stories and explain their significance.